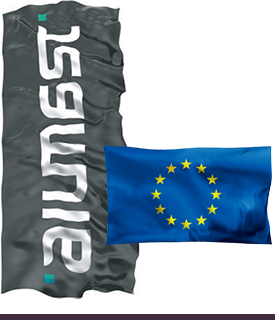 Digital printing is the easiest and the fastest way of printing flags. It is possible to print the most colourful projects and pictures on flags. possible to print just one piece. Screen printing is a technique of putting each colour separately on the flag. Screen printed flags are of a high quality and durable. The most profitable for bigger quantities.